Reject Separator can be used for fiber and impurities separate for tailing in the coarse screen system for waste paper pulp. The Specially designed rotor produce contrifugal force in the process of high-speed rotation and backwash water can relief pulp effectively, achieve pulp and impurities easily separate. 1. The closed working condition of Reject separator makes clean environment. 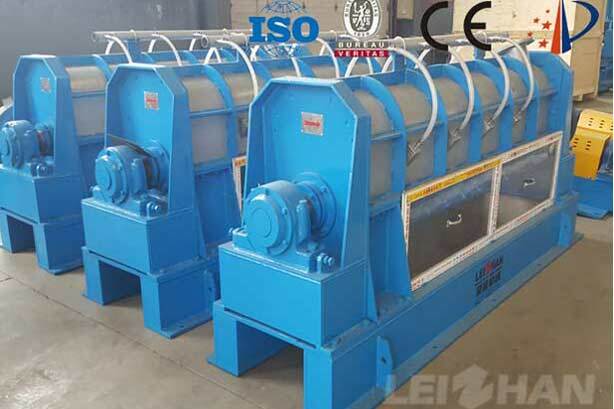 Continuous slag discharge, no paste sieving, plugging and slurry splashingNo vibration and noise, no need to look after, sort out the impurity concentration up to 10%-15%, can be directly treated as garbage without treatment. 2. The Oppenable upper cover of Reject Separator makes maintenance easy and convenient. 4. The slag removal separator is currently a more advanced tailings processing equipment. Compared with the vibrating basket screen, it can greatly improve the sorting efficiency and optimize the operating environment. 5. Advanced technology, high quality, reasonable price.Please contact us if you interested the Reject Separator.